We all know that hands can reveal character and destiny, but what about other parts of the body? With this basic guide, learn how your body features can reveal health, relationship, and behavior attributes and how to spot these in others. 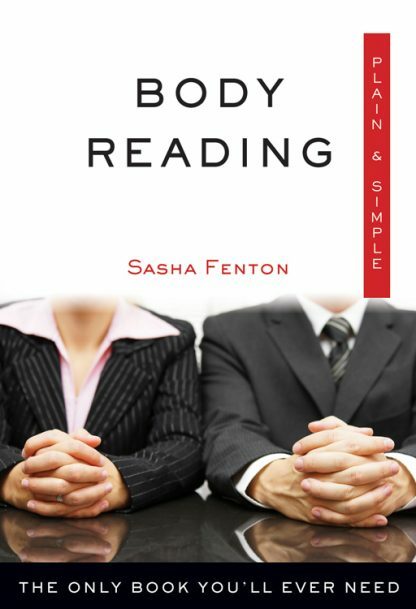 Divination expert, Sasha Fenton covers the waterfront of body reading in 15 short accessible chapters. Topics covered include faces, heads, hands, eyes, teeth, nails, feet, colors, moles, and itches. Generously illustrated with line drawings and graphs, this primer is a splendid introduction and guide to body secrets. Hair reflects one's health and one's state of mind. Moles suggest stomach trouble, relationship problems, or possibly an ill partner. A high bony nose suggests failure in business. Downwardly sloping eyebrows suggest a lack of energy and a tendency to whine. People with inward-leaning incisors are selfish, antisocial, and don't mind hurting others. Based on interviews, exhaustive research, and years of close observation, this practical guide is filled with fascinating facts and insight that will be greeted eagerly by all who are interested in a variety of divination systems.